Create practical, emotional, and spiritual results in relating, creating, manifesting, releasing self defeating habits as you participate in a life of wholeness, balance and fulfillment. Enter a world of unconditional love. Dream a life that fulfills you into reality. Enjoy the love of partnership and community. Create wellness as your way of being. Face all challenges, all experiences, all hardships as gifts. Be the person you came to be in love. Be the dreamer and the dream known as Heaven on Earth. 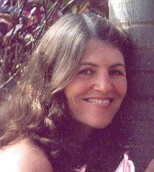 Dr. Laurie is known for her assistance with helping people to awaken while creating dream realities. Her method is simple: be 100% present with life as it is and you shall dissolve into a neutral deep love. From this you may discover and create via inspiration and unconditional joy. When your pain, self defeating habits and challenges are faced through your universal heart, you transform. Through honesty and forgiveness, you discover a life of power, peace, triumph, acceptance and exquisite fun! Allow yourself to receive help so that you may create a life that fulfills you and touches others profoundly! Dr. Laurie Moore is a spiritual teacher with graduate degrees in expressive arts therapy, a license in Marriage Family Counseling, and certificates in animal communication and hypnotherapy. Her works utilizes communicating with all species and moment to moment creation. Her message is you are a gift to the universe. Her message is you are the LOVE. Please note: Laurie's LMFT California resident services for people are booked at successlovenow22@gmail.com and www.counselingscottsvalley.us. Laurie's coaching/reading services for people and animals are booked at lauriemoore.sessions.seminar@gmail.com and www.animiracles.com. People may receive help from one of these service-based businesses only. The two tracks cannot be mixed.